The home you have been waiting for is now available!! As you drive up, you will notice the freshly painted exterior and the charming front porch. 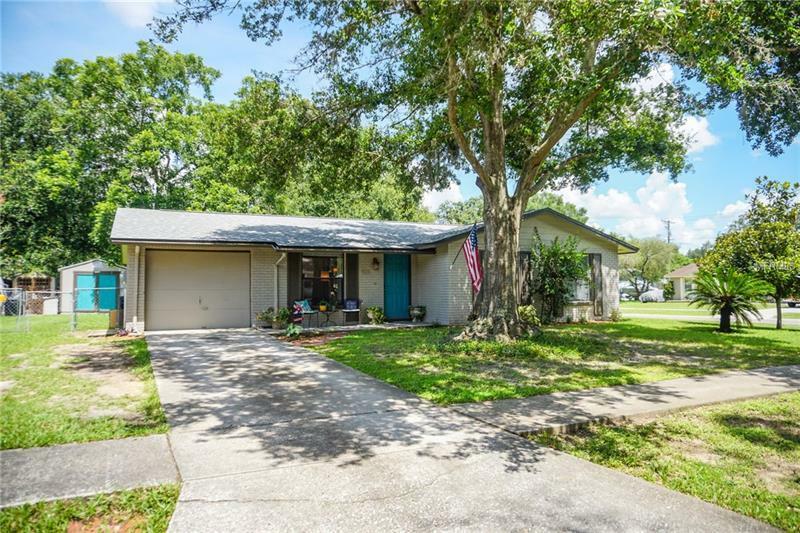 This lovely 3 bed, 2 bath home has been updated in all the right places with a brand NEW ROOF in 2018, NEW A/C with UV filration in 2016, large ceramic tile flooring in all living areas, laminate flooring in master, updated kitchen & baths and situated on a larger corner fenced lot. This home includes all Stainless appliances along with washer and dryer. Enjoy your morning coffee or evening cocktails on your cozy covered, screened lania that is accessed via French Doors off the dinette area. Storage will not be a problem with the two sheds in the backyard. Conveniently located to your everyday amenities, interstate system and Crosstown. Zoned for great schools. Make your appointment to see it before it's gone!